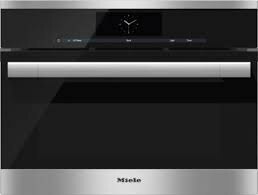 Miele has a new combi steam oven with the ability to cook with steam as well as a standard oven. It can also be plumbed so you do not have to continuously add water. Gaggenau is the only company with a similar product. Both companies are German with remarkably low service rates of less than 6% within the first year. There are, however, differences between both. So we will be comparing the features and prices plus explain the capabilities of steam convection ovens. Why should you purchase a steam convection oven? Steam convection ovens are arguably the fastest growing trend in high-end kitchen renovations. You will likely use your steam convection oven more than your main oven. What is all the hype about? This appliance category is the most versatile. You can use it as a regular electric convection oven, a steam oven, or use a combination of convection and steam to restore moisture in the food while browning. Convection in a steam oven also prevents flavor transfer between racks. This is very convenient for the time-conscious cook. Chef Kurt Von Kahle demonstrated in our showroom that you can make banana muffins at the same time as seafood casserole in a convection steam oven. If you were wondering, the muffins did not taste like seafood. Steam convection ovens are a great alternative to your traditional microwave, especially for reheating leftovers. For example, reheating rice in a microwave can be a challenge. You need to add a good amount of water, butter, chicken broth etc to put moisture back into it. Reheating rice in a steam convection oven is fast, easy, and will restore the original moisture without drying out your food. Steamed vegetables are way better for you than sautéed vegetables. Steam cooking maintains nutrients in your food and softens your cooked vegetables without adding butter or oil. Steam adds moisture and does not bake out nutrients like radiant cooking. Miele is a well-known luxury appliance brand in the US market. They are a German company and is the largest family-owned appliance company in the world. This brand is extremely meticulous with quality control. Every product is tested and inspected prior to shipping with almost every part designed and produced in their own factory. Gaggenau is a premium brand in the appliance industry, owned by the BSH Corporation. 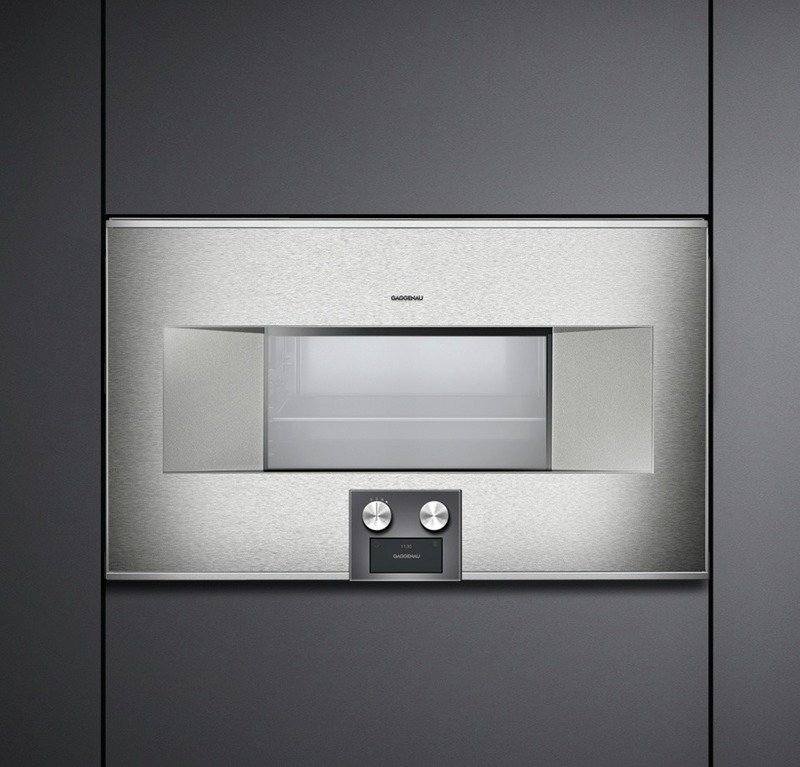 Gaggenau ovens are hand crafted in France and are also under strict quality control. Gaggenau ovens always have the side-swing door for easy access and all are plumbed. The Miele and Gaggenau ovens have many similarities: both are plumbed, broiler element, 3rd element convection, temperature probe, the ability to customize how much steam is used in the cooking process, and many shared cooking modes. There are also many differences. I like the Miele menu-driven system that takes the guesswork out of cooking a variety of dishes. I also like the price on the Miele relative to the Gaggenau. The touch-to-open door of the Gaggenau is a nice feature when holding a tray or pan. The ability to know what the temperature is in the oven cavity at all times is also a nice feature. In my experience, you will use new products and technology when it's simple. Miele is incredibly simple and intuitive to operative. I would recommend this unit if you have never used a steam oven. However, the Gaggenau has great style with a better door and more overall functions for the seasoned steamer or chef. Get the Yale Steam and Speed Oven Buyers Guide with features, specs and inside buying tips to all the brands. Over 85,000 people have read a Yale Guide.